Posted at: 1/12/2011 10:21:00 AM . There is a new deal site, BloomSpot, which has joined the social shopping experience. Today, they are offering a $5 Starbucks giftcard for free and you just have to pay a $1 shipping fee. The only bad part of this deal is that it can only be shipped to specific cities. Orders outside the selected zipcodes will not be completed. 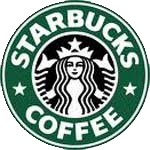 If you are lucky enough to live in one of the select cities, remember to register your Starbucks card to get extra deals. Disclaimer: I never heard of BloomSpot before today so I have never used them and can't comment on their customer service. UPDATE: I was trying to find a direct link and I realized that you need to refer friends to the site to be eligible for this gift card. Here is the exact Tweet that BloomSpot posted to my account when I clicked the share button. I don't live in one of those cities, so feel free to use the comment section or Facebook page to work with your other Making Cents of It readers to get this deal.